MARIA GALLUCCI / YALE ENVIRONMENT 360 – Isbel “Izzy” Palans lives in a small cabin nestled among mountain peaks and towering trees in the Colorado Rockies. Her home is often shaded and, during the long winters, buried under heaps of snow. Her monthly utility bills show credits for solar electricity production, but no solar panels are affixed to her roof. 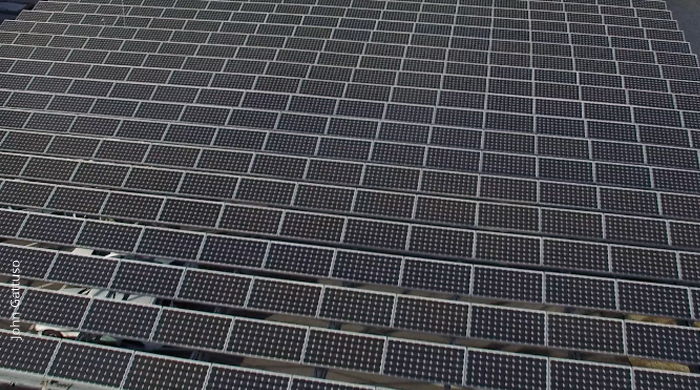 Instead, the power comes from a solar array some 60 miles away in a nearby valley.